What if some of the worst degenerative diseases known to man didn’t have to be treated with addictive and potentially-dangerous prescription drugs? Research into the health benefits of spices might make this possibility a reality very soon. In the last few years, you’ve probably heard about the incredible health benefits of spices. You might already have two of the most potent medicinal spices on a shelf or rack in your kitchen. To fully take advantage of the healthy benefits of cinnamon and turmeric, however, you should look for a high-quality supplement. Look for cinnamon and turmeric supplements that contain special ingredients that help your body absorb more of the nutrients found in these incredibly healthy spices. Commonly found in both “stick” and powder forms, cinnamon has been a dessert and even breakfast staple for centuries. 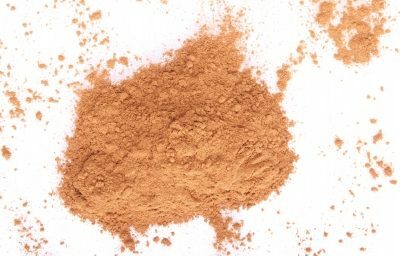 Advances in shipping have obviously driven the price down over the years–cinnamon is one of the least expensive spices available in most stores. But, did you know that cinnamon also boasts and impressive array of health benefits? Cinnamon can treat the symptoms of many illnesses, and can even prevent diseases. Keep in mind that most homeopathic experts recommend using Ceylon cinnamon, sometimes referred to as “true” cinnamon. Although cassia, the other variety of cinnamon, may provide similar health benefits, it’s dangerous to take too much of it because of the coumarin it contains. 1. When it comes to spices, cinnamon has one of the highest levels of antioxidants, including polyphenols. 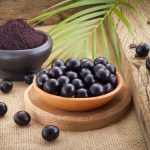 Your body needs antioxidants like these to fight potential invaders, including cancer-causing free radicals. 2. Cinnamon, specifically its concentrated extract, has been shown to possess cancer-fighting properties in tests on mice. 3. One of the most important healthy benefits of cinnamon is that it is a strong anti-inflammatory compound. Some inflammation is normal, and even healthy. Chronic inflammation, however, can be deadly. 4. Recent studies suggest that cinnamon may lower an individual’s risk of developing certain types of heart disease. 5. Reduces LDL (bad cholesterol) levels, while stabilizing HDL (good cholesterol), even in doses as small as 120 milligrams. 6. Cinnamon’s anti-inflammatory properties can improve your skin. We’ll bet that you never thought cinnamon could help you cure blackheads at home! 7. Nutrients in cinnamon have been shown to reduce blood pressure. 8. Fighting fungal and bacterial infections, including those that affect your respiratory tract. Among the bacteria cinnamon can fight are the popular food-borne illnesses salmonella and listeria. 9. 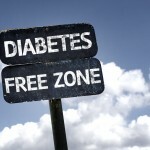 Improve your body’s response to insulin–an essential hormone for your energy levels and metabolism. 10. Cinnamon may also have a beneficial effect for people suffering from neurodegenerative disease like Alzheimer’s or Parkinson’s. 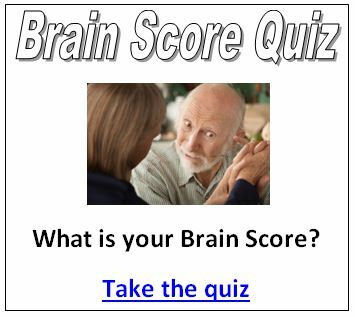 It does this by inhibiting protein buildup in your brain–one of the primary causes of Alzheimer’s disease. 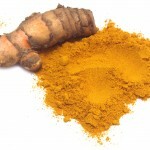 Turmeric has a potent taste and a distinctive yellow color. It’s one of the spices that lends curries their unique flavor. Those looking to take advantage of turmeric’s health benefits should seek out a supplement that also contains a substance known as “bioperine” (sometimes called piperine). This substance can improve the turmeric’s potency by improving your body’s absorption of its primary healing compound, curcumin. Bioperine will prevent the cumin from simply passing through your body in the normal digestive process. 1. Turmeric is one of nature’s strongest anti-inflammatory spices. Substances in turmeric can help your body fight potential invaders. It can even repair damage caused by various pathogens and free radicals. 2. Supplemental use of turmeric can help relieve the symptoms of arthritis and osteoarthritis, one of the most common ailments among the elderly. It’s strong anti-inflammatory properties can reduce the pain and inflammation commonly associated with arthritis. 3. Turmeric, specifically the curcumin it contains, increases your body’s antioxidant capacities. When your body produces an optimal level of antioxidants, it improves your body’s ability to fight free radicals. 4. Turmeric has even been shown to lower a person’s risk of developing certain cancers; some homeopathic practitioners suggest that turmeric may also be a potent treatment option for cancer patients. Studies recently revealed that even moderate turmeric consumption can reduce the risk of developing tumors; in fact, turmeric even seemed to fight cancerous cells. 5. Curcumin, especially the kind found in turmeric, has also been used to successfully treat individuals suffering from depression at a rate similar to Prozac. Turmeric can provide these anti-depressant properties without the use of strong prescriptions with numerous side effects. 6. Turmeric can improve your circulatory system, too. Curcumin has properties that are nearly as potent as vigorous exercise when it comes to improving your body’s endothelial functions. 7. In a blind study, the curcumin found in turmeric has also been shown to lower your risk of heart attack currently still the world’s most common killer. 8. Turmeric can help fight the aging process–in fact, it’s now one of the most common anti-aging supplements currently available. 9. Forget nootropic supplements, turmeric has been shown to improve overall brain function, including focus. 10. Although the rates of degenerative brain disease seem to be getting lower, Alzheimer’s and Parkinson’s disease are tragic realities for many elderly people. Thankfully, the curcumin found in turmeric is also a powerful treatment option for people suffering from Alzeheimer’s Disease and Parkinson’s Disease. It’s thought that these properties derive from curcumin’s ability to prevent plaque build-up. There will obviously be skeptics who don’t think that common spices could have so many incredible healing properties. We certainly don’t mean to paint the picture that either cinnamon or turmeric is some kind of “cure-all”. However, they both possess strong anti-inflammatory properties, as well as nutrients that can ward off physical and even mental diseases. These spices also represent an excellent treatment option for people who are already taking a variety of prescription pills. Their ability to treat inflammation and pain can reduce or even eliminate an individual’s need to take certain prescriptions and narcotics, provided their body’s respond appropriately. 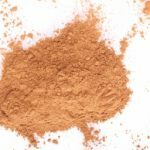 If you’re interested in natural health alternatives, cinnamon and turmeric are two spices that you can’t afford to ignore!